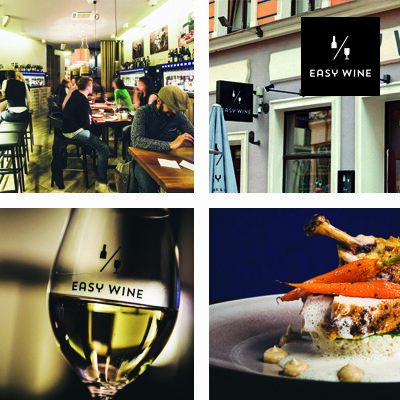 The concept behind Easy Wine is to provide every guest with a comfortable, social atmosphere, an extensive selection of fine wines, delicious foods, state of the art restaurant and bar technologies mixed with traditional world class customer service. As a business Easy Wine is designed to provide a stable and growing income while being easy to manage. While most restaurant businesses have a high rate of personnel costs, Easy Wine keeps those costs to a minimum while still providing customers with excellent service. Only 1 or 2 people are required in the kitchen and 1 or 2 people are required in the bar/restaurant. 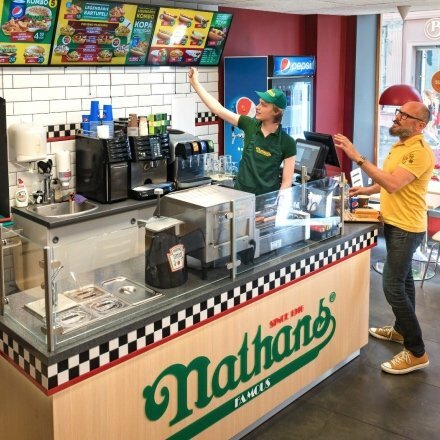 We provide our partners with all the necessary tools, materials, bar/restaurant trainings and customer service training for their initial employees as part of your package. The profitability and lifespan of the business is assured due to the strong interest in wines throughout Europe and high profit margins. The technology at Easy Wine allows the bar to control drink portioning so that profits can remain consistent. Our wine dispensers keep each wine at the perfect temperature for optimum flavour. In our Easy Wine locations no wine bottle lasts more than a week. We have had proprietary software developed and integrated into our point of sale system for loading cash cards, tracking usage, loyalty and checking out at the cash register. 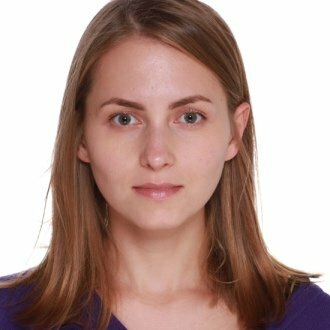 Our software also allows you to monitor your sales and consumption from anywhere in the world via internet and your computer or smart phone. 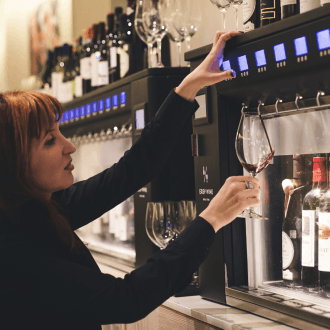 Our software works seamlessly with the point of sale and the wine dispensers and will have new feature upgrades in the future. The bar and restaurant business can be very complex with numerous calculations to keep track of for purchase prices, stocking, marketing, human resources and profit margins. The Easy Wine team has calculated profit margins on every product you will sell and for every cost you will probably incur, for you. These calculations can be used as a guideline for you to maximize your profitability. We will also supply you with financial modelling tools so that you can input your own data to know your costs, return on investment and profitability of your business. Our expert wine sommelier becomes your sommelier. There is no need for you to hire expensive staff for this. Easy Wine sommelier will assist in choosing the best international and local wine selections for your region. We want to make this as easy as possible for you to run a professional operation and to be successful. The total investment depends on many factors including: the cost of property improvement, a tenancy deposit, etc. A typical Easy Wine bar/restaurant would require investment starting from EUR 150,000 (including equipment and software approx.EUR 80,000). Equipment leasing options are available. Just ask us more about them. Expected return on investment: 14-30 months. Franchise agreement: 10 years (with prolongation options). Conditions for area development are agreed upon independently. You need no expertise in bar or restaurant development and management. We supply that for you. All you need is a love of good food, good wine and creating a social atmosphere for people. Of course, you need to be able to invest in your future. Ja vēlaties saņemt papildus informāciju, aizpildiet kontaktformu. Informācija tiks nosūtīta tieši EASY WINE.